I think the sister's portrait are nearly complete. Just a few minor touch ups here and there that probably only I will notice. I need to soften a few areas of Nicole's skin and darken her eyebrows and jaw line just a touch on the left side. Then a few more highlights on the necklaces and adding a bit more reflected lights. I also need to fill in the shirts a bit more but I ran out of time today. I wanted to get an update for my clients tonight so that they have time to request any edits for tomorrow. That will leave Wednesday for any final edits and Thursday for cleaning up smudges and spraying with the UV spray so that it can dry in time for packaging and shipping. 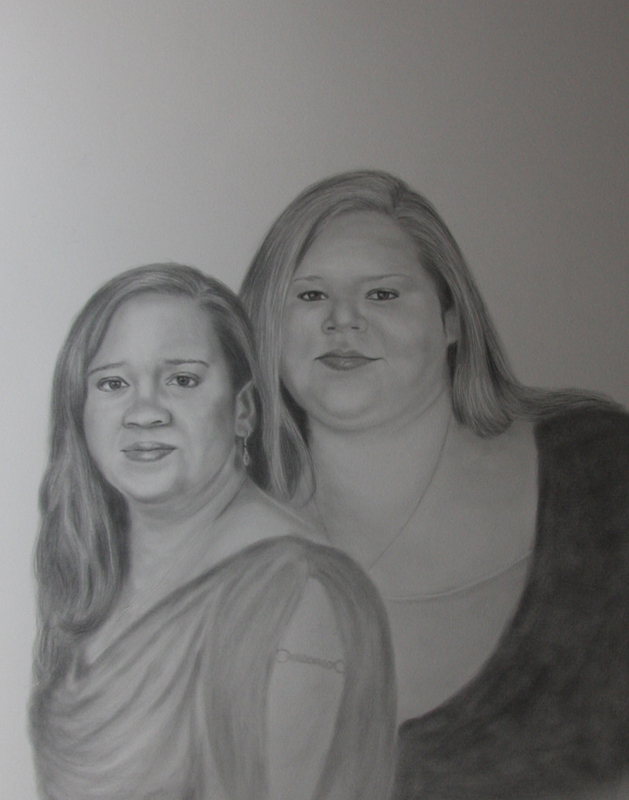 The final portrait is 16x20" framed so an image area of 11x14" for both of the subjects.